In spite of nasty weather, the open Minsk championship in popular sports "Minsk Autumn - 2004" was held 30 October at the ski and roller tracks. 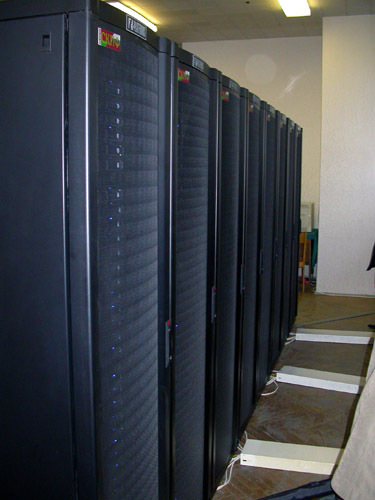 The supercomputer SKIF K-1000 with processing power of 2.5 billion operations in a second, produced within the framework of the joint Russia-Belarus project, was demonstrated at the International scientific conference "Supercomputer systems and their application" that took place in Minsk. SKIF K-1000 is expected to be one of 500 most powerful machines in the world. Now the supercomputer is being registered. It is the sixth consecutive day that people gathered in the city center to protest the rigged parliamentary elections and the referendum. One hundred people took part in the protest rally on 23 October - members of the European coalition "Free Belarus", activists of the opposition movement "Zubr" and students of Minsk universities. On 22 October at 18 a.m. people gathered again on Oktiabrskaya square to protest the rigged elections and the referendum. On Thursday the Belarusian Central Election Commission (CEC) declared the referendum valid. Under the words of the CEC representatives, 79.42% of the constituency backed up the question put at the 17 October referendum. According to the Gallup Organization Baltic Surveys, only 48.4% of those who came to the referendum voted for the question put at the referendum. People in Minsk have been holding protest actions for four days. Belarusian people continue their protest actions. On 20 October, the opposition held a third rally on Oktiabrskaya square at 18.00. Over 5,000 people gathered on Oktiabrskaya Square in the center of Minsk to protest against the rigged election and referendum that was hold to prolong Lukashenko’s office. The action organizers said that the action is only the beginning of the confrontation to Alexander Lukashenko’s dictatorship (charter97.org). The official ceremony of the rarity books transfer to the Belarusian National Library by the company British American Tobacco took place on 12 October. 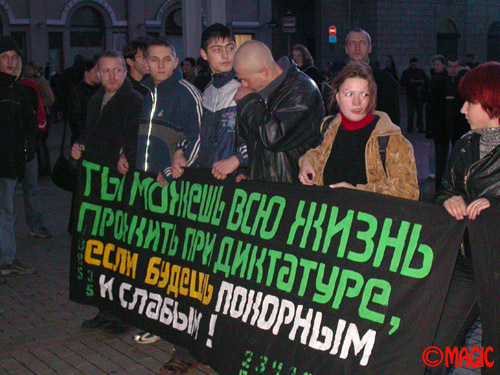 On 10 October, the opposition staged a protest action. The action took place in the Park of Peoples' Friendship in Minsk. Sergey Skrebets told BelaPAN that the main objective of the rally was standing up against Alexander Lukashenko's life long tenure and against the falsification of the parliamentary election results.